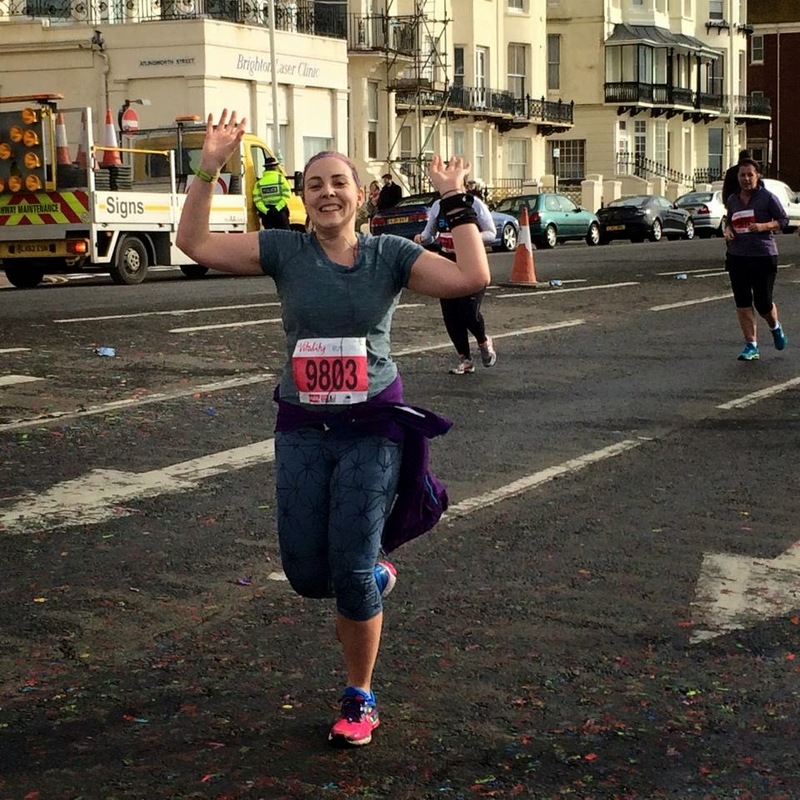 If you follow me on Instagram you may already have seen how my weekend at Brighton Half Marathon panned out- SPOILER ALERT- it ended with a stonking 18minute PB!! 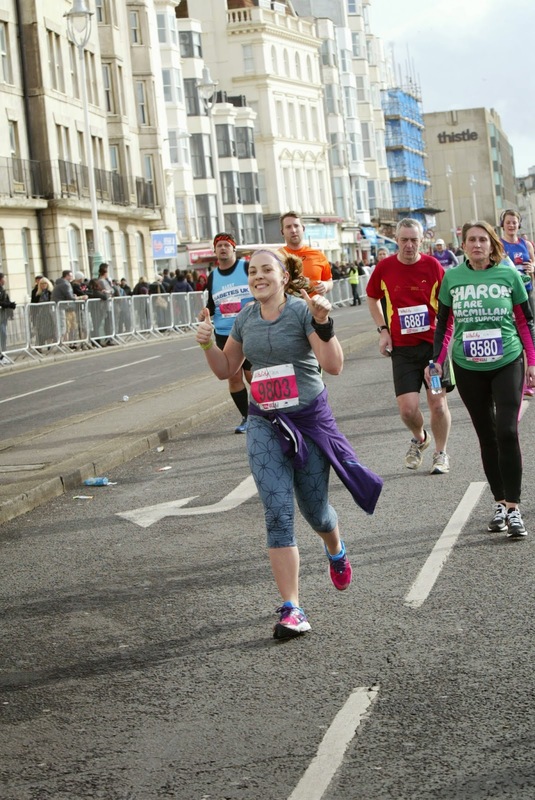 Thumbs up to Brighton Half! After worrying about the weather all week, and praying the rain held off, I woke up Sunday morning to a bright and sunny sea view! 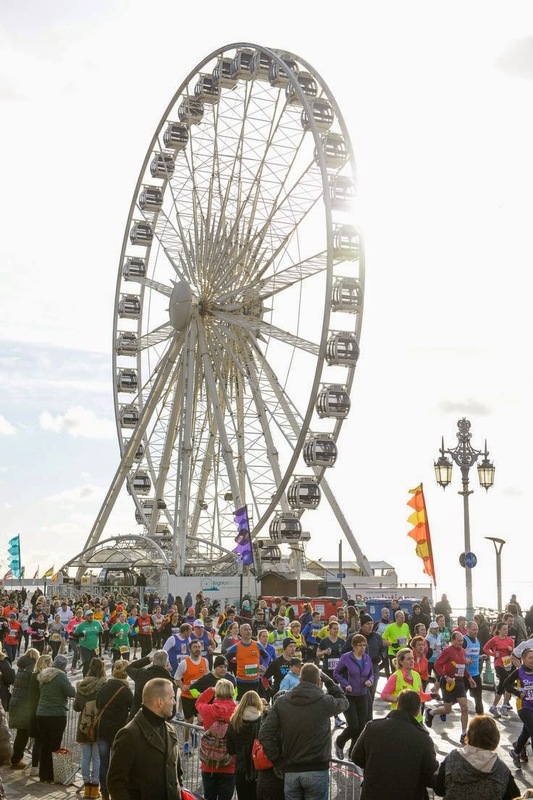 I’d arranged to meet with Emma beforehand, so we could catch up and air our nerves together- we joined the thousands of other runners lining up under the Brighton Wheel on the seafront, jigging up and down to stay warm. 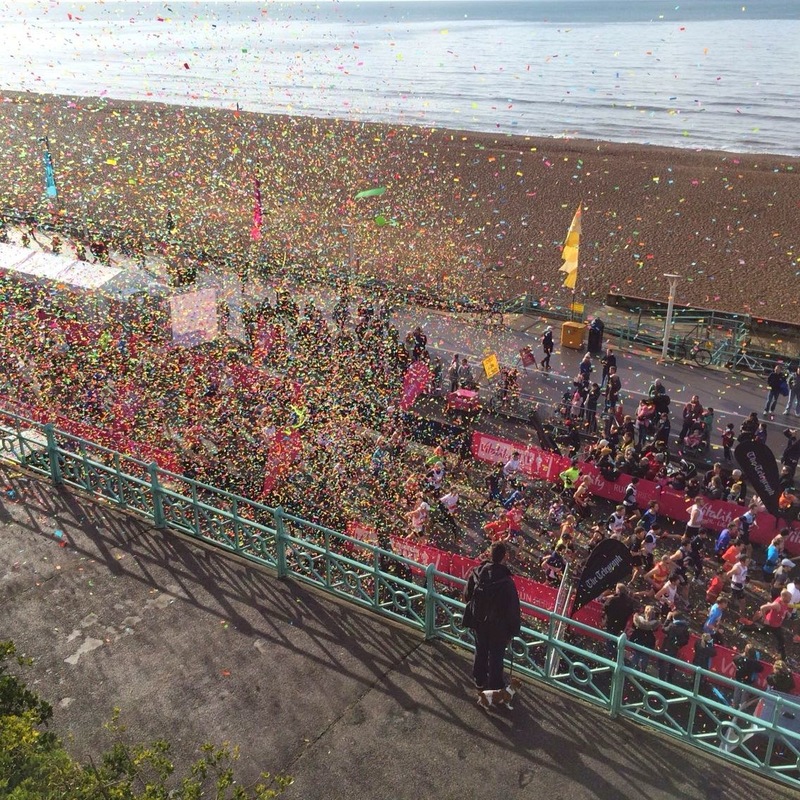 A shower of confetti signalled the start of the race and to the cheers of supporters we headed off! 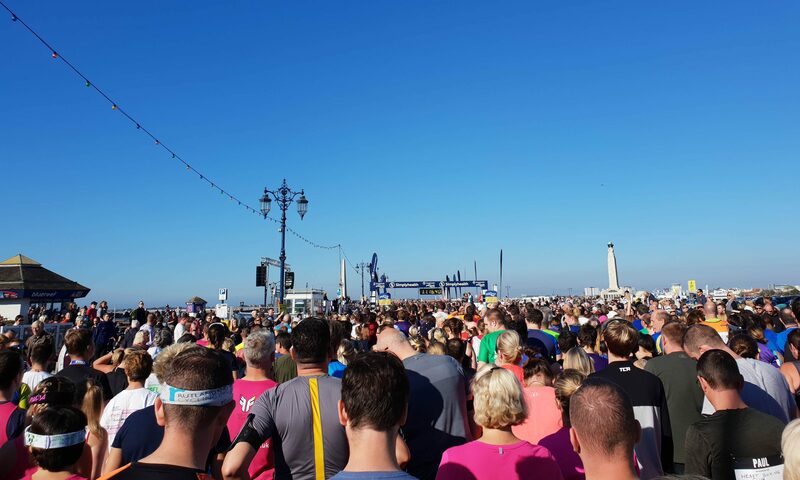 It took me about 10minutes to get across the start line, and the first loop into the town was pretty congested as is expected with a larger race. My plan was to stay with the 2:30 pacers who had big coloured flags, but I lost them quite quickly. I didn’t take any photos en route- I wanted to give the 2:30 goal my best shot and actually didn’t stop and walk at all during the race- a massive first for me, as in every other race I’ve at least walked through the water stations if nothing else! There were some interesting sights along the way though, Brighton Pavilion, the marina, pier and of course the ocean! I knew that there was a long slow incline between 2-4miles, before turning around at the top of the hill to come back down again. 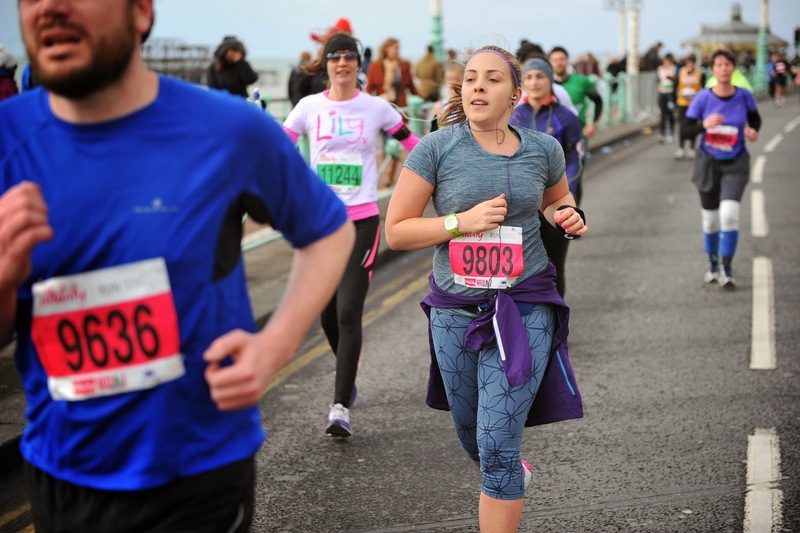 I mentally prepared myself for it, and tried to just keep the legs turning over quickly, but actually because it was so near the start of the race I didn’t find it too strenuous. My average pace ended up being pretty similar coming back down the hill again because of the wind! It was nice to see other runners going the other way too, and I called out to Steph, Charlie and Emma passing by. At about mile 6, I saw Nikki cheering who took this great photo! And then Becca and Dash between miles 7-8. The support was generally pretty good along the course, although I did have headphones in for most of the race to try and keep me at a consistent pace. 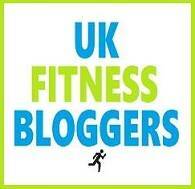 It was so lovely to see friendly faces and smiles and it definitely spurred me on! 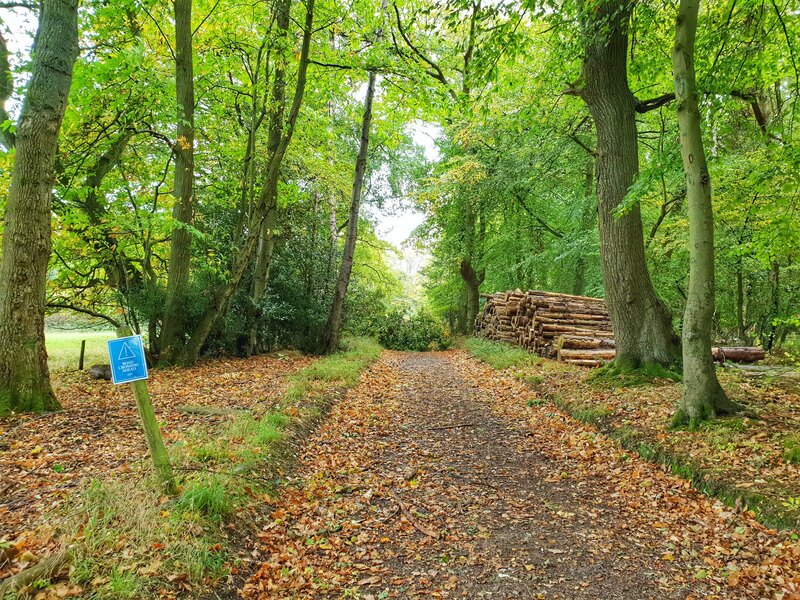 I was feeling pretty strong up until about mile 8 but there was a really long gap between water stations (2, 6, and 10) and the road felt long and a little monotonous – I was counting down the minutes until the 10mile mark when I knew there was “only a parkrun to go”! 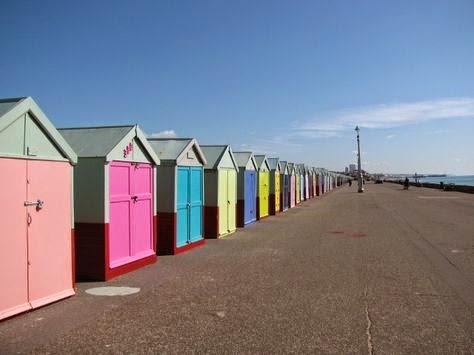 At this point we turned onto the actual seafront too as opposed to running on the road, and passed by all the colourful beach huts- even though my legs were so heavy by now I couldn’t help but smile as I listened to the waves, and took in the gorgeous views. 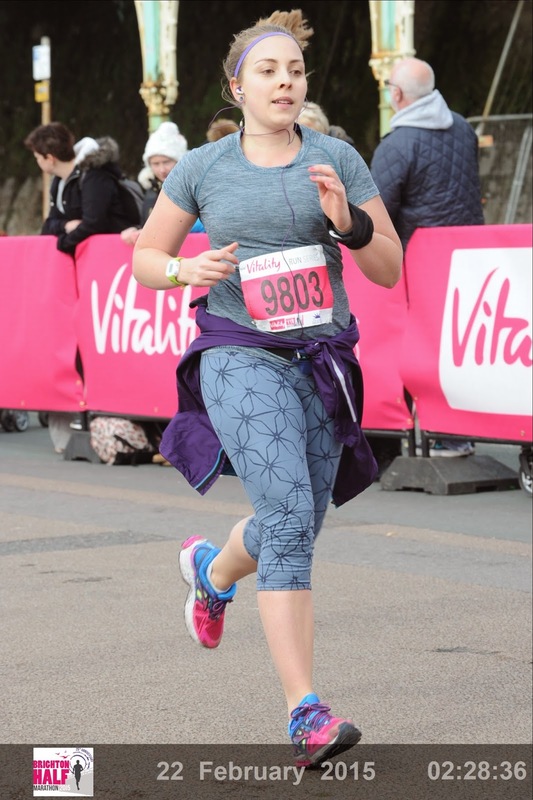 I almost cried I couldn’t quite believe I had smashed my target so absolutely – 18 minutes off my Ealing Half time, and half an hour faster than my first half marathon 9 months ago! Not a bad improvement! What surprised me even more when looking at my splits was that mile 13 was my fastest of the whole race, a 10:53min/mile- not that quick for most people but pretty speedy for me especially considering I’d just run 12miles! Massive thank you to Bea for writing my training plan and keeping me on track throughout the past 16 weeks, and to Erin of Jasyoga for helping to stretch out my legs and instil a little more self belief. Baggage drop and toilets– I stayed in a hotel so didn’t use either of these facilities but the start area was a little congested with a few too many barriers channeling runners in all different directions! There were extra toilets along the route at the water stations but I saw queues at all of them. 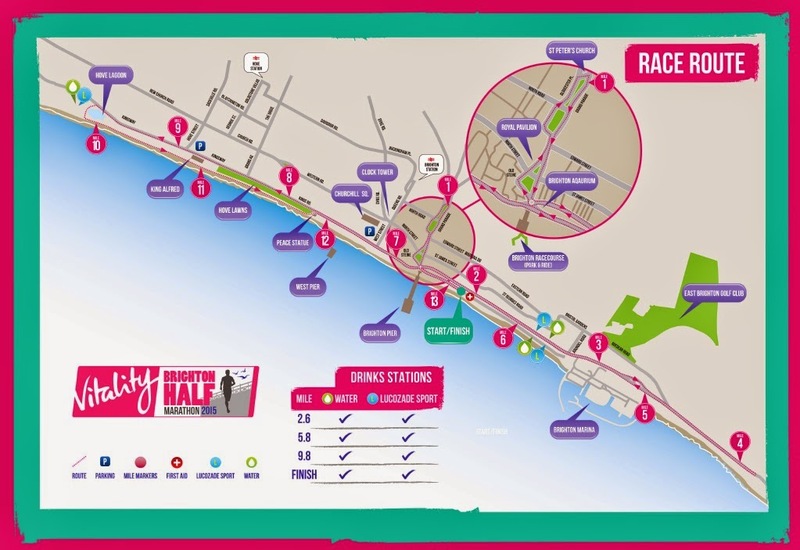 Drinks stations – water bottles and Lucozade available, at 2, 6 and 10miles. I stuck to just water and took 2 gels at miles 5 and 10. 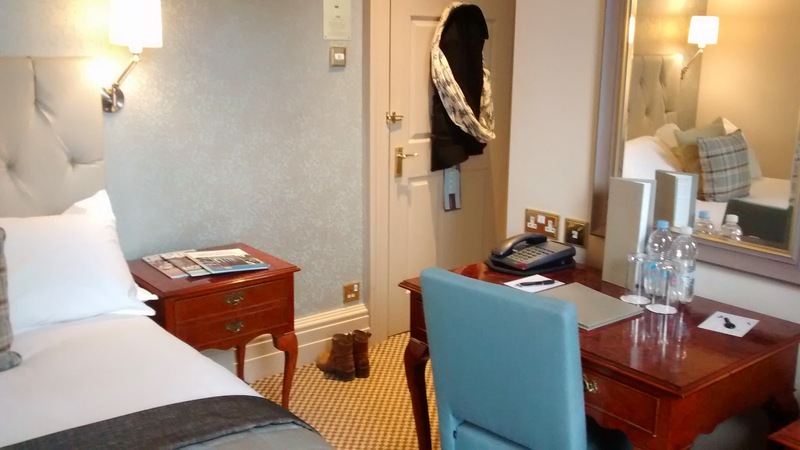 Accomodation– I travelled down on the Saturday, as I wanted to be as relaxed as possible, and not deal with Sunday trains. 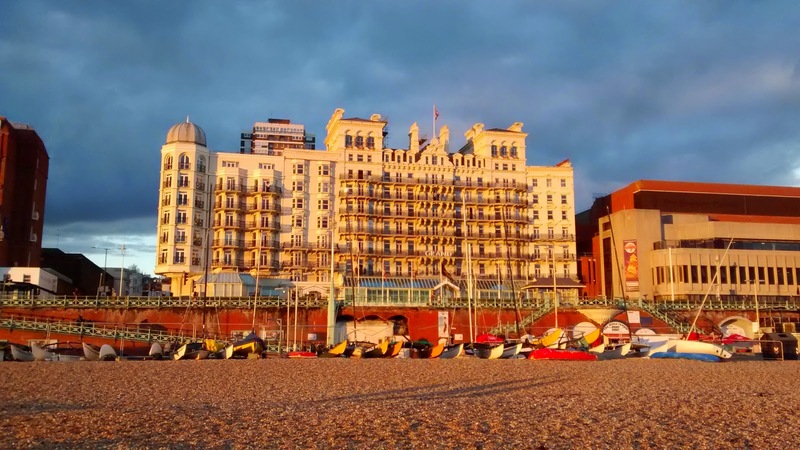 I stayed in The Grand Hotel, which definitely lives up to it’s name – an imposing building on the seafront with a luxurious entrance foyer and spectacular staircases! The bed was super comfy too, and even though I had to get up early on Sunday, they delivered my complimentary breakfast to my room- a tray at 6:30am arrived with pastries, toast and jam, yoghurt and tea. 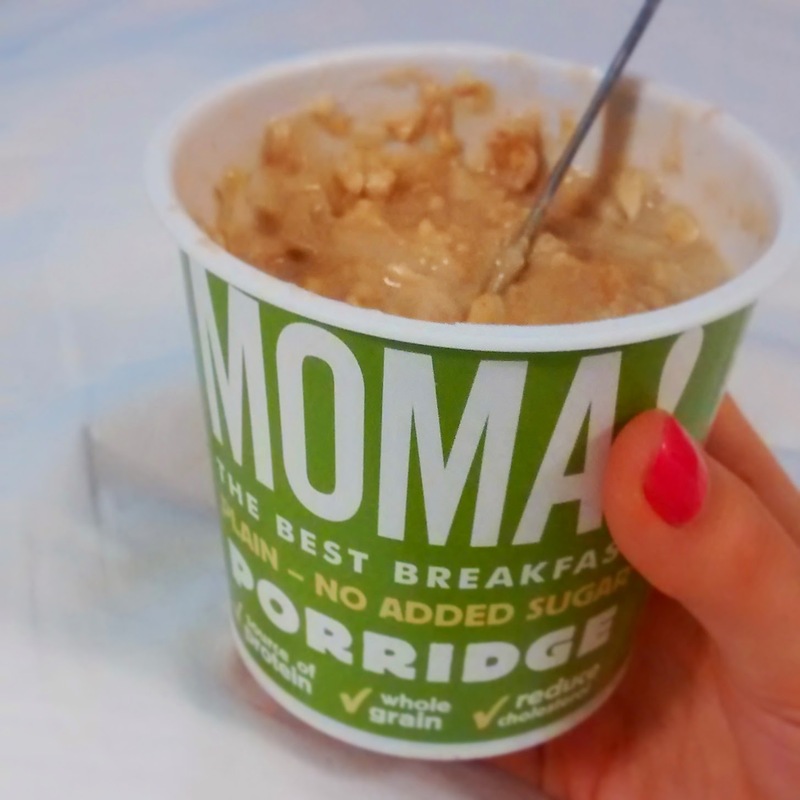 I’d actually brought my own supplies – porridge pot, banana and peanut butter- as I wasn’t sure anything would be available, and I like to stick to a tried and tested breakfast before a race! But it was definitely a pleasant surprise and I enjoyed snacking when I got back to my room to shower and change after the race- they were flexible allowing me to check out later for a small charge. 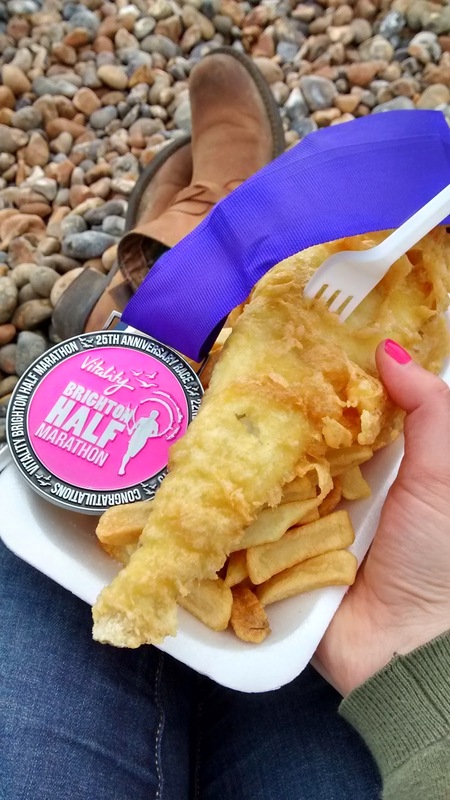 Bling– the all important race medal is a 25th anniversary special so is huge, chunky and awesome! 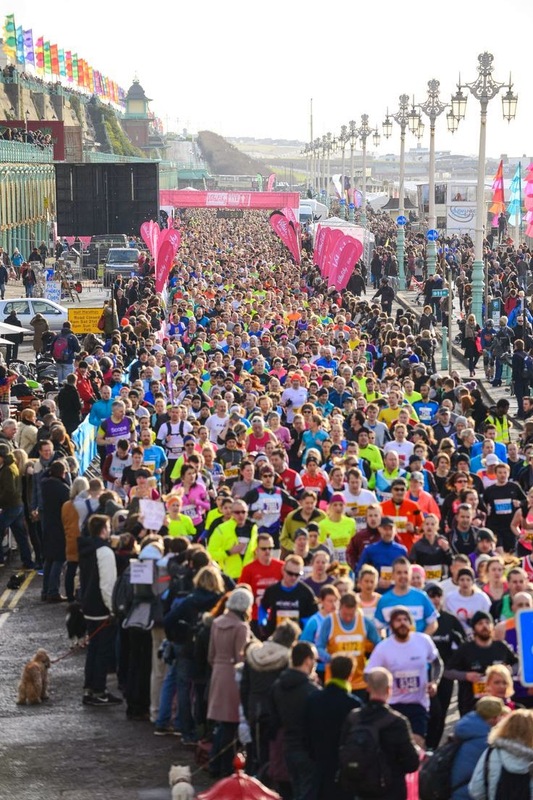 There were apparently goody bags at the finish but they’d run out by the time I crossed the line, and by the sounds of it just contained a packet of crisps and some sweets so I’m not too fussed. 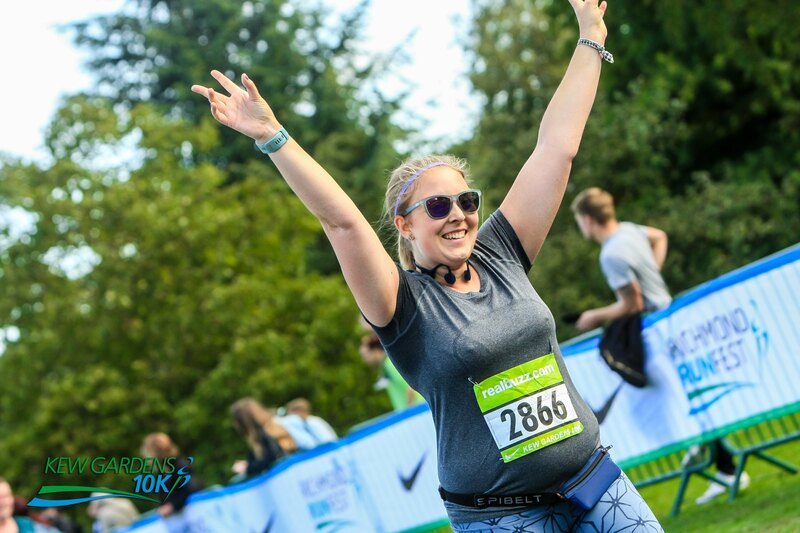 Race photographers – there were quite a few photographers on the course, and although some of mine are terrible, they managed to capture some decent shots! I downloaded all of mine (20photos) for £28. Check out Sportcam.net. 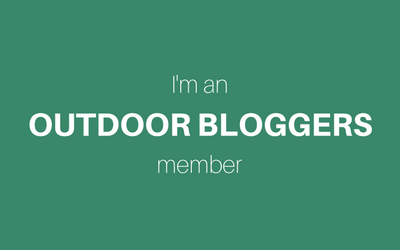 Thank you to everyone for all your lovely comments! 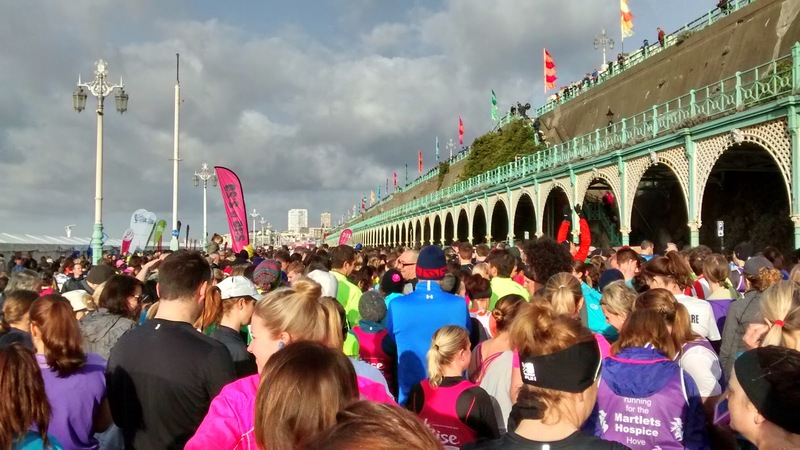 Brighton you were awesome – what’s the next challenge?! Congratulations on your PB! I'm not at all surprised – you looked so strong and focused both times we saw you. 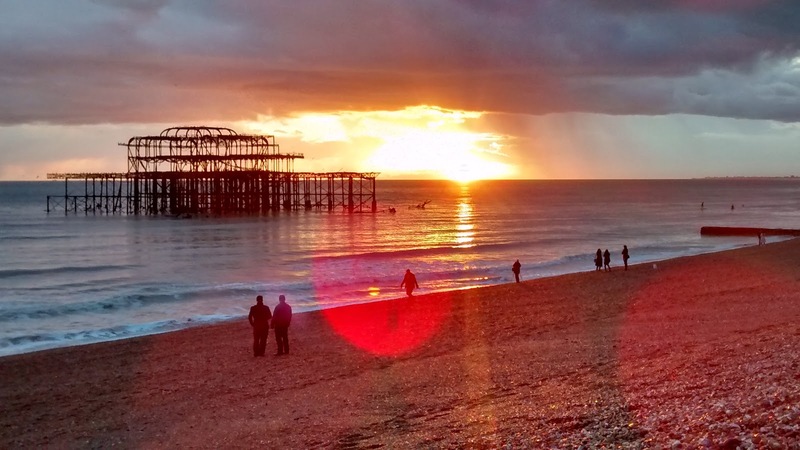 The photos on this post are amazing, Brighton looks so pretty … tempting me to enter the 2016 race! 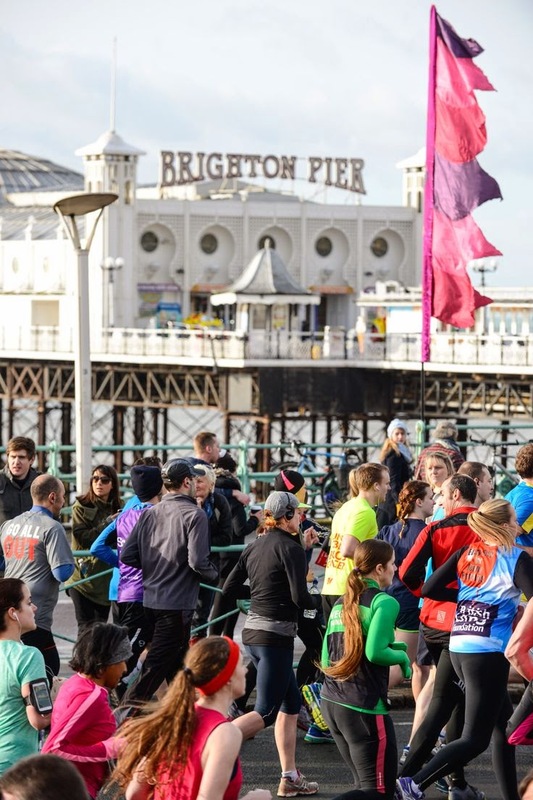 I think it is a great race- I think the out and back nature means there is more crowd support, and you can see other people, plus of course the sea is pretty and Brighton is just fab. 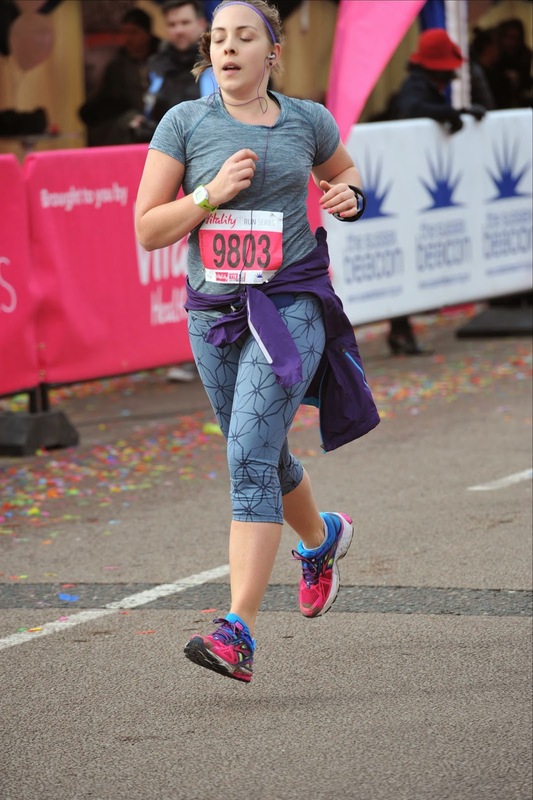 Huge well done to your Beki, what an amazing PB! 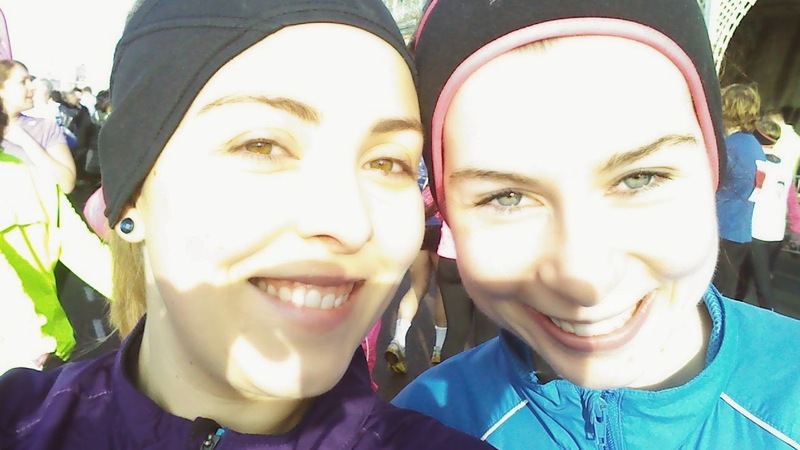 Great report and well done on an 18 minute PB! Splits look fairly even too – you did brilliantly! Thanks Steph! 😀 It was great to see you zooming past on the other side of the road! Well done! Fantastic PB. Great shots as well.